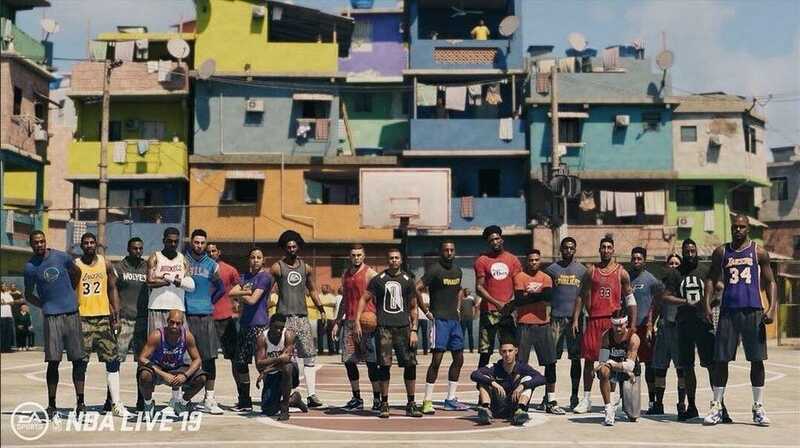 During EA Play, NBA Live’s very first screenshot was revealed where a bunch of players that varied from current NBA stars, Legends, Created Players and even WNBA players posing at a court that appeared to be similar to a Favela in Brazil. Either way, the picture does look pretty good and considering there will be legends inserted into the game as well as WNBA players give the game an interesting dynamic. Don’t get me wrong, this looks good, but with NBA Live you never can be too sure. Until we see some solid gameplay, more competitive modes and some fixes to the animations that has hurt the game over the years, it will always be just another basketball game that not many people will give a shot.